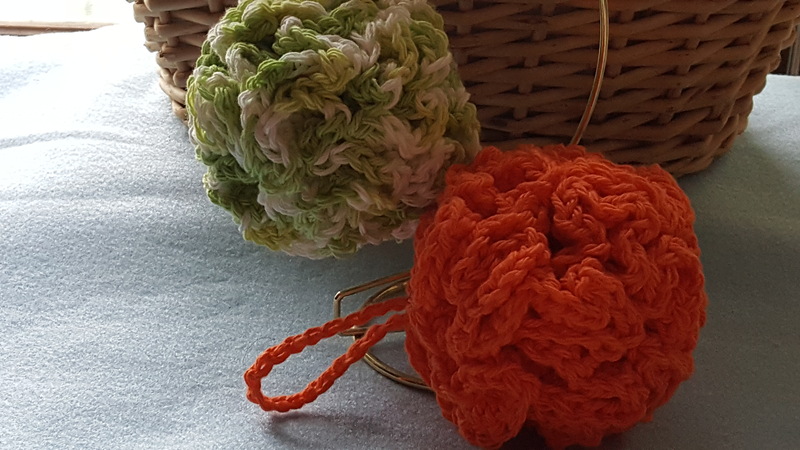 These crochet puffs are a generous size of 12 inches in circumference. The puffs suds up liberally with your body washes and bar soaps. And best of all – THESE PUFFS ARE WASHABLE!!! No more puffs that turn into shower science experiments!!!! 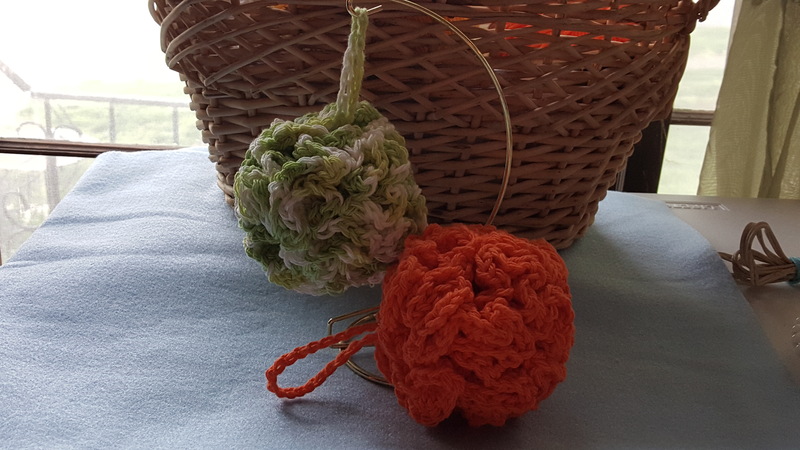 Easy to create and great cotton stash busters!!! Magic Circle – this is a method that creates a virtually “no hole” center. If you do not wish to do the magic circle, begin your work with by chaining 4 and joining to beginning chain with a slip stitch. Work a Magic Circle or Ch 4 and Join to beginning ch with a sl st.
Rnd 1, Ch 1, Work 25 Sc in the beginning circle. Rnd 2, Ch 3 (acts as first Dc) Work 4 more dc in the same stitch. Work 5 dc in each stitch around. Join to beginning ch 3 with a sl st.
Rnd 3, Ch 3, Repeat Rnd 2. Join to beginning ch 3 with a sl st.
Cut and secure yarn and weave in ends. Oops, sent too early. I was going to say that im sure each computer behaves differently. If copy / paste isnt an option or wanted, send your email to underthemoon3@aol.com and I will send you a pdf as an attached file. I am out of town right now, so it may be a couple of days. Thanks!